Bettina was employed to transform the daily experience of the many workers at this busy industrial park in Germany with beautiful low maintenance perennial plantings. 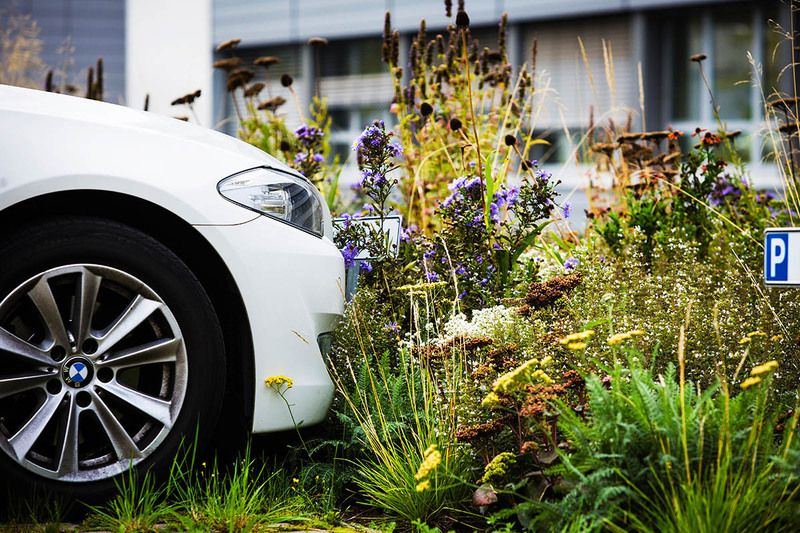 I loved the way Bettina had skilfully transformed this industrial work site full of concrete, so that even when people parked their cars, they were interacting closely with her beautiful plantings. Special access needed to be organised through company managers to photograph this site, not generally open to the public.